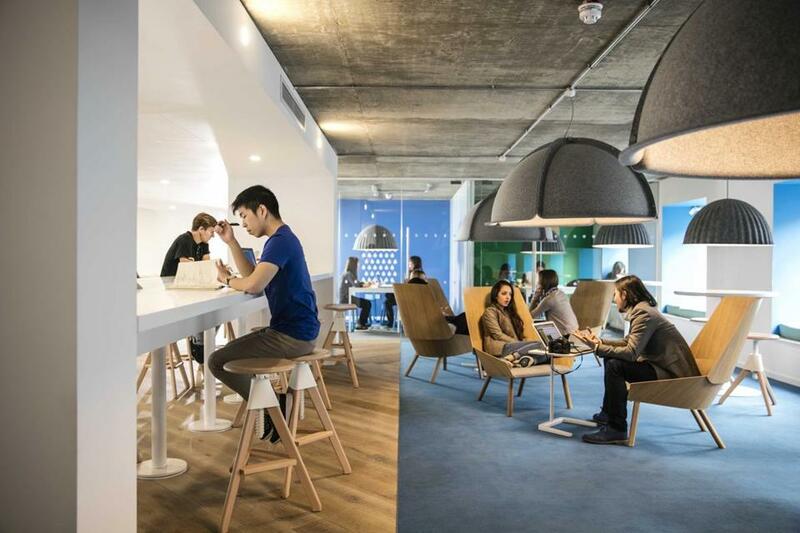 A lounge and study area at a Scape building in London. A British company that aims to transform the concept of college dormitories is making a major investment in Boston. Scape said it will spend $1 billion to develop privately run dorms in Boston that could accommodate several thousand college students, a move that could help ease the housing squeeze in the city. The company said it has one site locked down, but won’t divulge the location until it files plans with the city. But documents on file at the Suffolk Registry of Deeds indicate a Scape subsidiary signed a long-term lease for a property on Boylston Street in the Fenway that now houses older retail outlets. 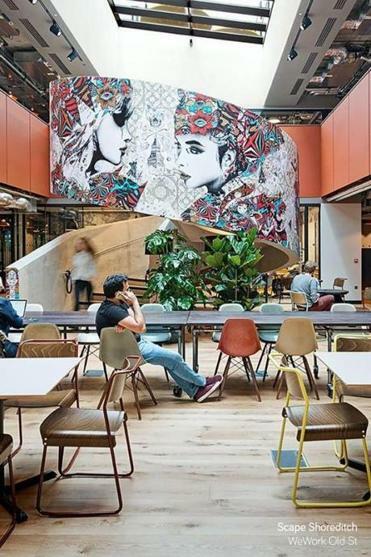 Scape is importing a concept popular in London, where the company operates five buildings for college students, that could break the longstanding model in the United States of on-campus housing linked to a single school. Scape’s buildings would be open to students of any nearby school, and potentially could be cheaper than many on-campus options. The privately run apartments tend to attract “serious students,” said Nigel Taee, executive chairman of Scape, such as upperclass undergraduates and graduate students who want to leave behind freshman-filled dorms while keeping some of the community of campus life. They include small, sleekly designed rooms, communal kitchens, and bright study spaces, and round-the-clock staff. The company also operates student apartments in Australia and Ireland, and spent 18 months scouting locations in the United States before settling on Boston for its first dorms. Taee said Scape will also make Boston its North American headquarters. 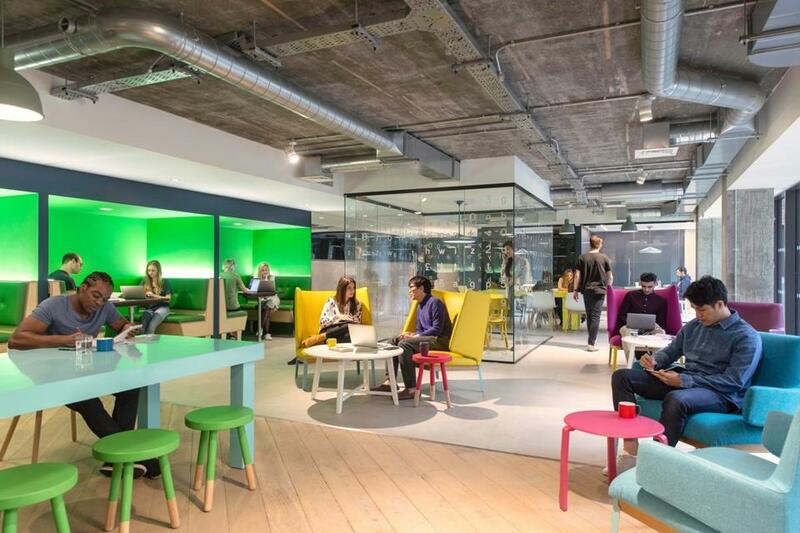 A study area at a Scape building in London. The first building will accommodate about 600 students. Scape is negotiating to buy two more sites, Taee said, and ultimately plans at least five buildings in the region. It also recently opened a small US office in Fort Point, which Taee aims to grow to 150 or 200 employees. Five buildings, with perhaps as many as 3,000 beds, would put a dent in Mayor Martin J. Walsh’s goal of adding 18,500 units of student housing in Boston by 2030. Some 36,000 undergraduate and graduate students live in off-campus apartments, and Walsh has sought to relieve pressure on the city’s housing market by keeping students from filling three-deckers and other larger units that could accommodate families. Boston officials say they have met with Scape executives and are enthusiastic about the company’s plan, though details remain to be worked out. The Walsh administration has pushed schools to build dorms with mixed success in recent years. After an initial wave of new housing for students, progress has slowed, with some schools hesitant to finance projects amid fears that enrollment could dip in the future. Increasingly, local universities have partnered with private-sector developers to build housing — including two buildings at Northeastern University and the first dorms at the University of Massachusetts Boston — on land the schools control. A Scape building that also includes a WeWork coworking facility in London. Scape’s model takes that concept further. The company builds, runs, and owns the student apartments; there’s no lease or financial relationship with any school, only a requirement — per city zoning — that residents verify enrollment at a local college or university. That mix makes for a more dynamic environment, Taee said, and not having a lock on any one school’s students pushes the company to offer a better experience to compete against on-campus dorms and the general rental market. Precise lease terms in Boston are still being worked out, but Taee said prices could start at about $290 a week, or $4,350 for a 15-week semester, per person for a shared twin room, and more for a single room. By comparison, Northeastern University lists two-person apartments from $4,370 to $6,070 per 15-week semester while Boston University dorms start at $10,390 for a full school year. “We’ll rise or fall based on the quality of our product,” he said. But these sort of quasi-dorms, outside the control of any specific school, could raise concerns in student-wary corners of Boston. Even on-campus dorms in some parts of the city get pushback from neighbors, while developers of new apartment buildings often have to agree to limit the number of undergraduates tenants to win approval from civic groups and the city. Taee and Andrew Flynn — Scape’s Boston-based head of US operations — point to full-time, on-site staff, and the prospect of pulling students out of existing neighborhood housing, as key selling points. “The initial reaction, from a lot of people we’ve talked to, is that they’d rather students be in one controlled environment than ad hoc, everywhere, with no oversight,” Flynn said. The company plans to develop informal relationships with colleges and universities. Taee said he is beginning to make the rounds to meet the top officials at Boston-area schools. Though he hasn’t met yet with Scape officials, Emerson College president Lee Pelton said he likes the company’s idea of private dorms. Emerson has been adding on-campus housing for undergraduates, but Pelton said the school’s 800 graduate students — a growing number of whom are from overseas — might prefer a Scape-style building because it has more of a college environment than a typical rental.